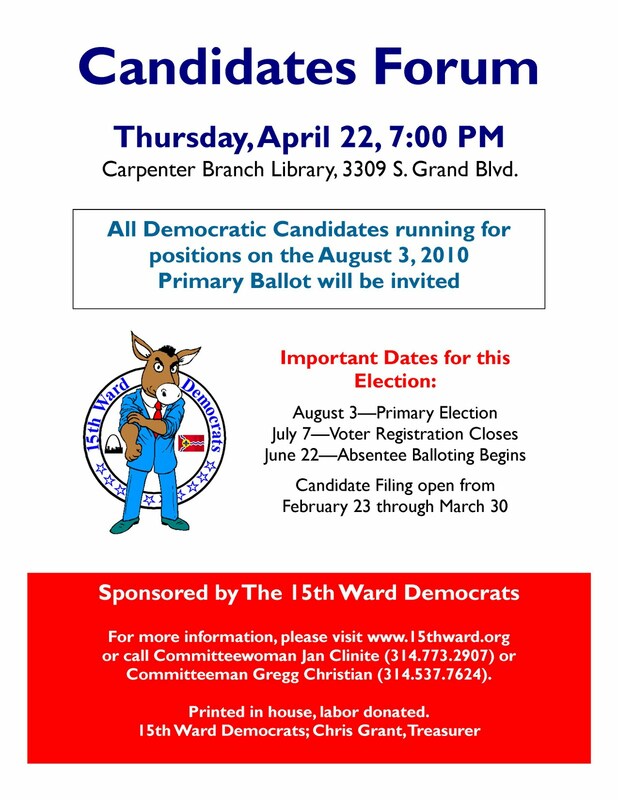 The 15th Ward Democrats are sponsoring a Candidates Forum and have invited all Democratic Candidates running for positions on the August 3, 2010 Primary Ballot. Everyone is invited to attend. Come out and hear what the candidates have to say! I look forward to the forum.